We attended a number of events at Social Media Week Bristol this year and made a lot of notes. 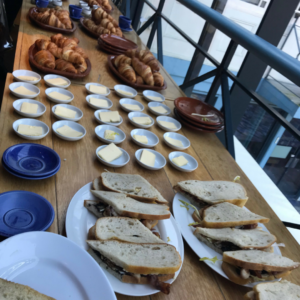 We thought you might benefit from our key takeaways… so here is our round-up, in order of the events we attended. Authenticity. We have heard this term bandied about throughout all of the conferences we’ve visited so far this year. Being authentic seems to be everyone’s advice for online marketing so rather than repeat it throughout the post we’re just mentioning it here. Humanisation. Think about your customers in all of your marketing activities. Remember that there are real people with real emotions at the end of your social media campaign. Think less automation and more live-in-the-moment interaction. ‘Being human’ goes hand in hand with ‘being authentic’ – both very much 2018 digital marketing jargon! Influencer. If you don’t know what an influencer is by now, where have you been?! Seriously though, this is a person with a following in a particular niche. They tend to be either micro-influencers (with a small but very engaged following in a particular area) or influencers with a huge following. It is becoming increasingly popular for brands to pay influencers to promote their products and services as part of their social media and content strategies. UGC. User-generated content is content that your users create about your product or service that you can then use as a marketing tool. Like a photo of them wearing your slogan t-shirt, using your lipstick or a happy post after some good customer service. They all lead to the same thing; social proof. Which is a priceless commodity. Custom and lookalike audiences. These are the gold at the end of the Facebook ads rainbow. Get these right and you will be getting leads, conversions, clicks, and sales left, right and center. It seems like everyone is talking about it right now! Community. With all the changes to social media algorithms, there is a lot of talk about community and more specifically Facebook groups. Take note. The Launch of LinkedIn local. 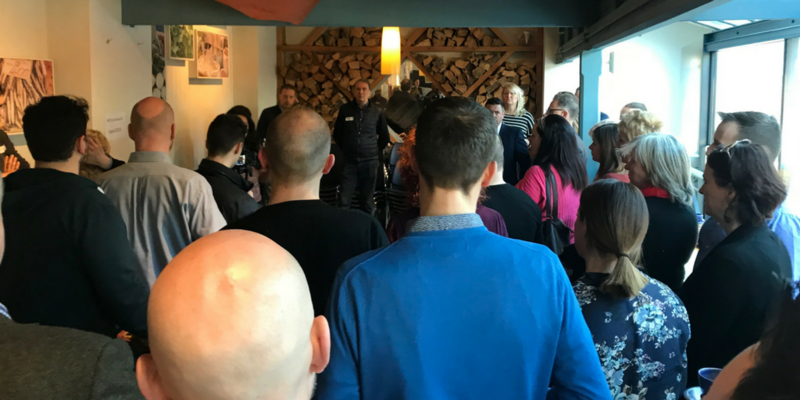 run by Greg Cooper of Front of Mind Coaching, launching social media week Bristol 2018. This was a fantastic, well-attended session in a lovely venue. More than anything else it reminded us of the importance of bringing conversations offline. We can’t wait for the next one. the first global cross-industry body to help brands, agencies, and researchers develop a more ROI-driven and robust approach to measuring social. The session was an interesting walkthrough of case studies demonstrating how brands large and small have used social media and metrics well. Social media data is ambiguous. Make sure you don’t use it on its own without referencing other data sets. Use humans to analyse the data that you have. Some metrics are just useless and don’t make sense alone. Despite all the automation and clever software available, you still need a human at the end of the process to draw conclusions and sort the tosh from the usable. You can use social listening to further develop your audience insights, brand voice, and even your products, and you should. We love the example of KFC doing this. Have an objective, always. Just because social media is still seen by some as ‘fluffy’ or just a creative part of the business, doesn’t mean you should go at it without a plan. Your social media plan should be developed in partnership with other areas of your business. There is a tendency for social media teams to work in silos, this is never a good thing and is more costly in the long run. Chatbots can be used to help respond to customer queries when you have a high volume of simple questions. Just like TFL did. 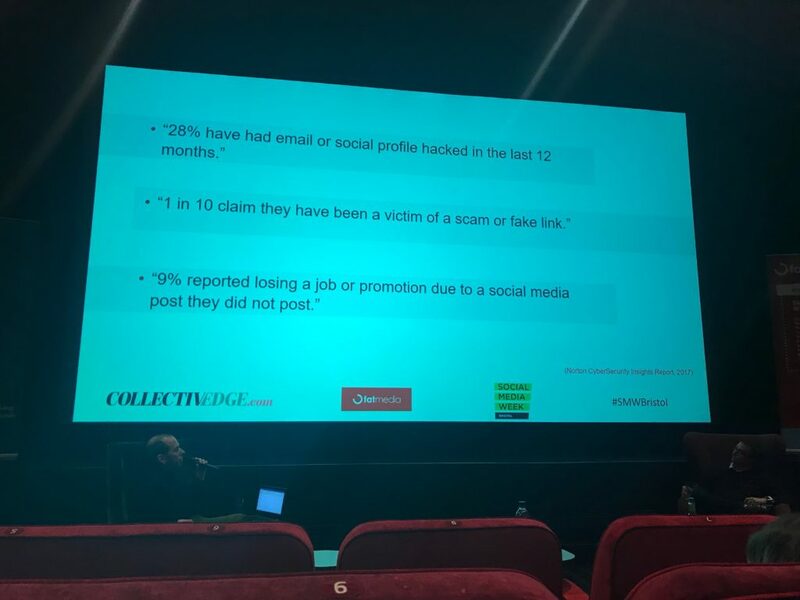 Social Media Week Bristol 2018 Influencer Summit. Theis was a number of sessions including some panel discussion around influencers. Pick influencers that are extremely niche and have a very engaged audience that matches your own. Be clear before you start a project with an influencer exactly what you expect from them in return for your investment. Do you want to create the assets for them to use or do you trust them to create something suitable for your brand aesthetic? Lots of things can be negotiated, so give it a go! If working with micro-influencers, do your research beforehand into their professionalism and tone of voice to make sure they are right for your brand. Try skimming through their old posts and looking at how they respond to comments. When considering working with a celebrity ambassador, think about whether you would get the same ROI (Return on Investment) by working with a string of influencers instead. Use a unique URL for your influencer to make it easier to monitor the effectiveness of their work. You can ask for things like statistics to prove their influencer reach before going ahead and again at the end of the project. Do as much research as you can beforehand into the influencer to see how many different brands they are promoting at any one time. You don’t want your content to be lost among other product placements or sent out to an audience that is bored of seeing ads. Think about how an influencer ranks on Google, not just how they rank on social. Put in place a contract, for everyone’s safety. Use many influencers rather than just one. In the experience of the panel, 1/3 will underdeliver, 1/3 will do what you’ve asked and 1/3 will overdeliver because they believe in your brand, product or service. Spread your budget for a better return. If the product you are trying to promote is low value, then it is common to pay the influencer, if the product is high value, sometimes the product will be payment enough. You can use Buzzsumo to search for influencers in specific industries. Be prepared for trolls. Not all influencer posts will be well received. You need to be prepared to respond to negative comments or help the influencer should things turn sour for any reason. Encourage your influencer to post about your brand on a day that you are in the office and able to support them. Look into password managers. Be very careful about who has access to your channels. Don’t use the same password for everything. We know, you already know. But seriously, the stats that they shared were pretty shocking…. With social media, you have to include paid (adverts) in your strategy or you will struggle to gain any traction. Mark suggests that with their company they start with paid and then move to organic. The biggest mistake that people make on social media is having too many channels (Twitter, Facebook, Instagram, LinkedIn Pinterest etc) . Pick the ones that are best for your sector or where your target your audience can be found and be better at those channels than anyone else in your industry. Content is the most important thing for staying ahead in social media. If you have boring content (or no content) then you have no chance with organic reach. Use chatbots for lead generation and prospecting. There are free tools you can use to create your own or outsource to an expert. Never just do one type of marketing at one time, set a budget for all channels and then test and learn. When you realise which one is the best ROI for your business, maximise on that one. Video content is still receiving the highest amount of engagement across the board. If you aren’t using video in your online marketing yet, you should be. Be specific in your targeting with paid media, most advertising platforms allow you to be very specific to match with your customer profiles. If you aren’t targeting properly you are wasting your money. Use user-generated content to demonstrate social proof for potential customers. Images of other people using your products or services is a fantastic way to draw others in. Create a hashtag that customers can use to promote your brand. Competitions are still valuable and a great way to collaborate with other brands to increase your following and engagement. The best part of Facebook ads is the custom audiences, lookalike audiences and saved audiences. Make the most of this tool. Social media is a fantastic way to nurture, listen to and engage with an audience. You can use this to develop and improve your products and services. Make your assets work hard for you. In Aardman’s case, it’s very expensive to create assets, so they create textless animated assets that can be used by partners and collaborators and are easily customisable with text and logos. User-generated content is your path to success when struggling for ideas. For Aardman, between movies and series of Shaun the sheep, they created events like the 10 year anniversary of Shaun and ran a ‘Shake it with Shaun’ campaign. There was a lot of UGC created by people doing the dance on video. Session Mel Bound, This Mum Runs. Build a community to make effective use of organic reach. If your audience loves your brand they will be brand ambassadors and you won’t need to spend as much on advertising. UGC is a big part of their strategy too. People love to take photos of themselves wearing the This Mum Runs t-shirts or on a run. This gives them extra content to share and helps with organic reach. Facebook groups are unaffected by reach. In their experience, Facebook groups designed for communities are the way to go. 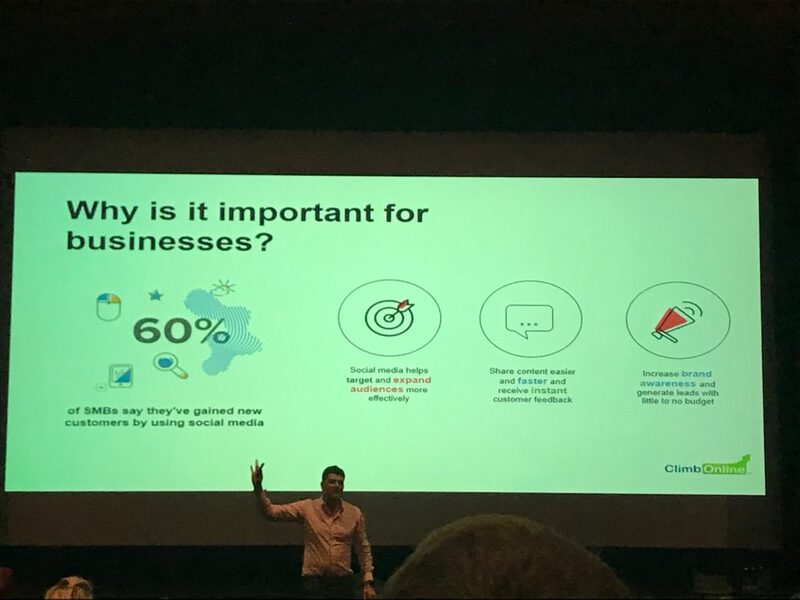 Build audiences organically on Instagram by using relevant hashtags, this is getting harder but still works..
We love The Rules of Engagement (and not just because there is usually pizza and beer) and they always seem to step up their game for the social media week Bristol special. Humanise your language and use terminology used by your audience. In Keri’s example, they personified cancer and used #OiCancer to give their audience a voice against this common enemy. Think about what inspires your audience and how you can join in with that conversation. Share your customers’ stories. Yet another reference to user-generated content, the Cancer Research UK team used their audience to generate stories to promote their cause. Building your community around a common interest. Using Facebook groups is a good idea as it is improving constantly as a tool with lots of features. This video demonstrates how they brought together the language of their community to further their cause. Dan Izzard: Making Video on your Smartphone. Video accessories for your smartphone are relatively cheap these days but make for far superior film quality. Think tripods, gimbles, rigs, mics and special lenses. Sound is really important. There’s nothing worse than finishing your video and realising that the sound quality is poor. Unfortunately, most phones don’t have the best microphones built-in so definitely invest in an external mic. Editing your videos is possible on your phone. There are lots of free and paid for apps around for fairly cheap that help you to do this well. Alternatively, you can always upload them to your computer and edit them there. Do a quick Google, there’s loads about. Be fussy about your lighting. Look for well-lit spots facing a window and consider buying lighting accessories. You won’t regret it. Subtitles. Your videos are much more likely to be watched on social if they have subtitles. Youtube and Facebook have even made it easy for you by letting you add subtitles directly in their editors. Experiment with angles. Try taking lots of different shots from lots of different angles. The more bits and pieces of film you have at the editing stage the better. 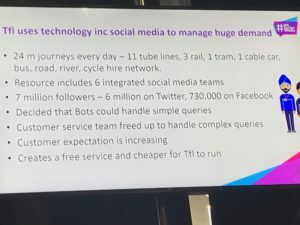 So, those are our key takeaways from Social Media Week Bristol 2018. If you’ve got to this end of this article and feel a little overwhelmed then there are two options for you to choose from. Book a consultation session with us to look at an area of content marketing in depth for your business. Consider outsourcing your social media management so that you have more time to look into these ideas a bit further.